PUTRAJAYA: The government will form an Institute-Industry Management Board (IIMB) at all training institutes under the Manpower Department to create a local workforce which will enable Malaysia to become a high-income economy. 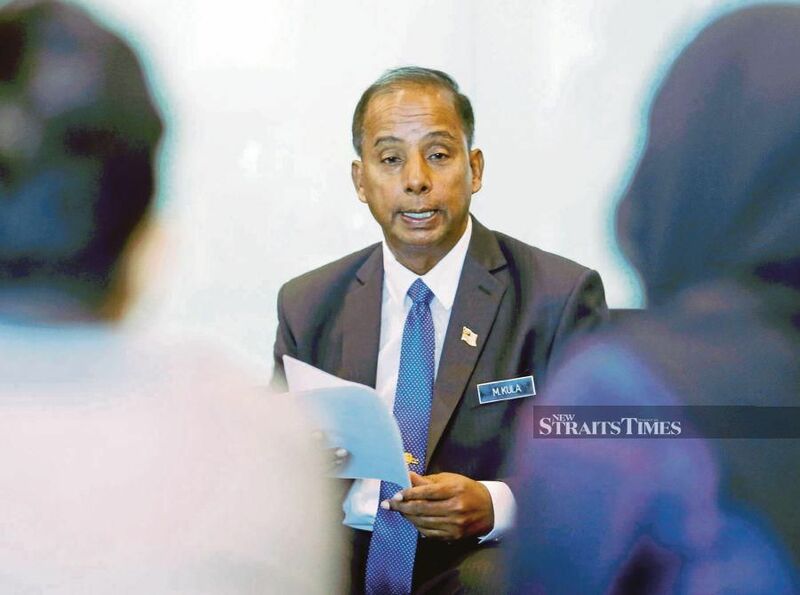 Human Resources Minister M. Kulasegaran said three training institutes - Japan-Malaysia Training Institute (JMTI), Advance Technology Training Centre (ADTEC) Shah Alam and Kuala Lumpur Industrial Training Institute (ILPKL) - have been selected to take part in the IIMB pilot project. He said the IIMB members would include Human Resources Development Fund (HRDF), registered employers, workers’ unions and employer associations. “With the setup of IIMB, it will become an effective initiative to ensure facilities for training, curriculum and upgrading of educators at every training institute which will be relevant to the needs of the industry,” he said before witnessing the signing of three memorandum of understanding (MoU) on training cooperation. The MoU signing was between the Manpower Department and Pembangunan Sumber Manusia Bhd (PSMB); Manpower Department, PSMB and Penang Skills Devlopment Centre; and Manpower Department, PSMB and First Solar Malaysia Sdn Bhd. Kulasegaran said governed by the PSMB Act 2001, PSMB was given the mandate by the government to catalyse the development of a competent local workforce which would contribute to Malaysia’s vision of becoming a high-income economy. “Additionally, PSMB continues to be steadfast in its effort towards encouraging employers covered under the PSMB Act 2001 to re-train and upgrade the skills of their local employees, apprentices and trainees in keeping with the fast-evolving global business landscape while meeting the aspirations of their respective company/companies. “In line with the 11th Malaysia Plan, we need to take effective measures to increase the percentage of skilled workers. The burden of achieving this target is not solely borne by the government but equally shared by the private sector as well. “Industrial workers need to have continous training in order to keep abreast with the current technological advancements. Workers who have significant experience in their relevant skills set can be certified via Recognition of Prior Experiential Learning (RPEL) whereby it enables the workers to have a certificate or diploma without going through the traditional training pathway,” he said. The minister was upbeat by the cooperation that the Manpower Department and PSMB would have with First Solar Malaysia, a subsidiary of a multinational company in the renewable energy industy, to further enhance the skills and academic qualifications of their technical staff. “I was informed up to 500 technical staff will be involved, beginning with 125 technical staff who will undergo skills training at ADTEC Kulim. “Futhermore, these staff will be assisted in building portfolios of evidence of prior learning and experiences which will lead to the award of diploma through RPEL.